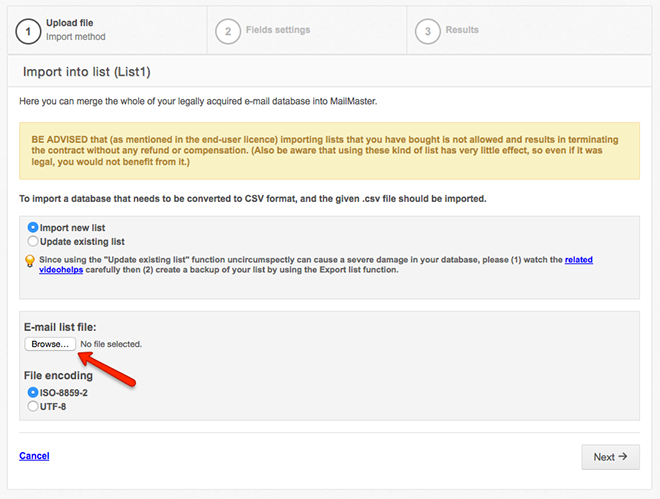 You can import data from a CSV file. 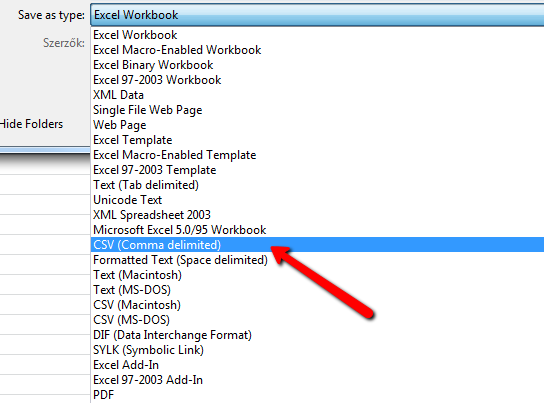 If you have your data in Microsoft Excel then save it as a CSV file. Login to your SalesAutopilot account. 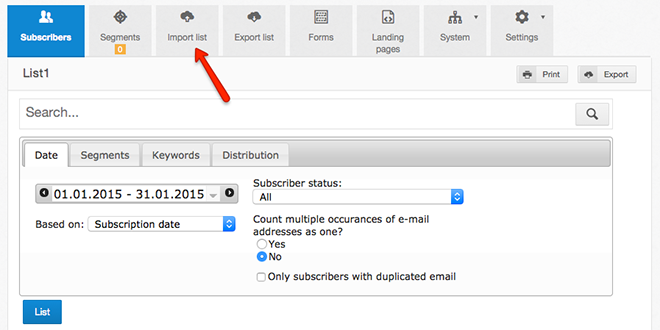 Click on the name of the list in the left menu and select the "Import list" tab. Select your CSV file by clicking the Browse button and then click the Next button. On the next screen you can see the first five records of the CSV file. The very first row is recognized as a header that contains field names. SalesAutopilot tries to match CSV columns to the list fields by their name. 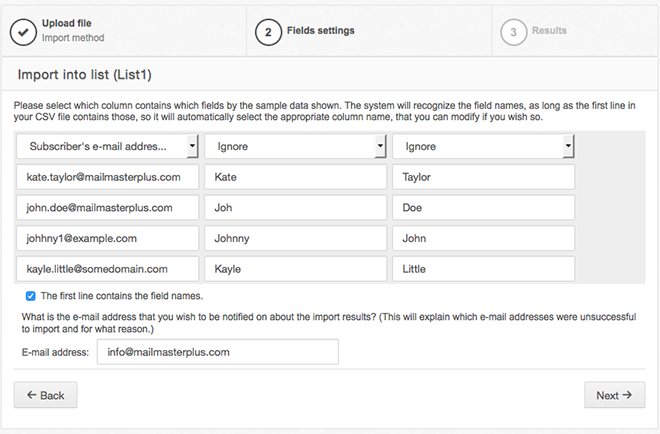 If you use the name of the list field in the first row of the CSV SalesAutopilot will automatically assign it to the list field. At the top of the unrecognized columns the Ignore option is selected by default. Assign the column to the appropriate field of the list by selecting the field name from the dropdown list. 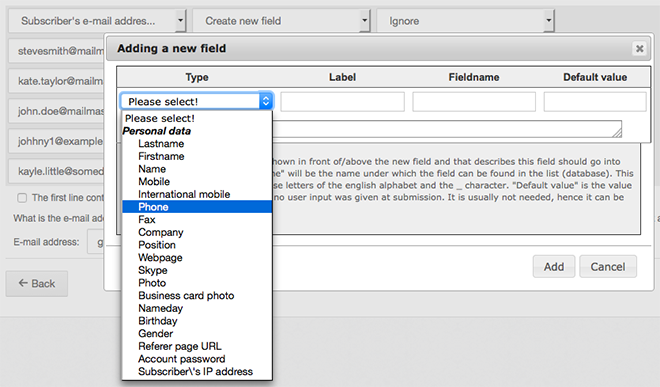 If you don't find the field in the list you can add new fields right here by clicking the "Create new field option". 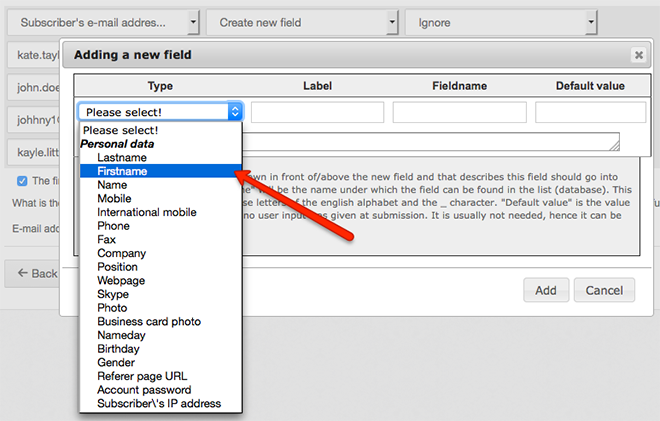 Set the field parameters in the "Adding a new field" window then click the "Add" button. When you finished field assignment check the e-mail address at the bottom. The error report of the import will be sent to this e-mail address. To finish the import process click on the Next button. 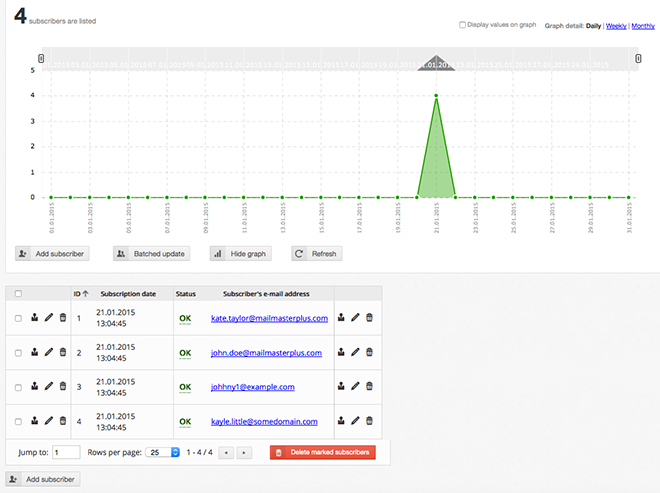 In the background SalesAutopilot imports the data into the list and when it is finished it displays the results. At the top you can see the number of successfully imported records. 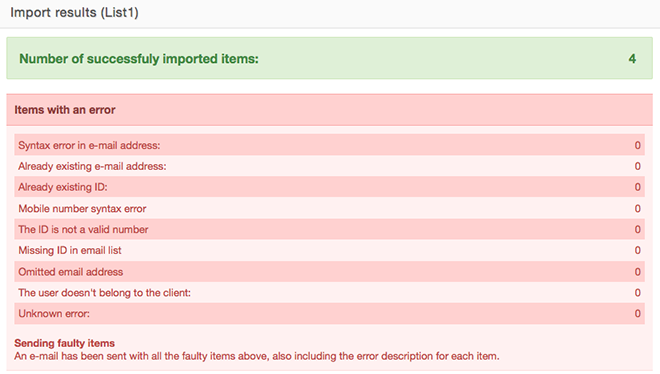 The error messages appear under that showing how many records failed being imported. The error messages are sorted - by error types. An e-mail is sent with all the faulty items to the e-mail address you'd defined at the previous step. Open the attached file of this e-mail. For example the e-mail address in the picture above is is faulty because the @ character is missing. You can fix the obvious errors with this method. After you fixed the errors import the file again. 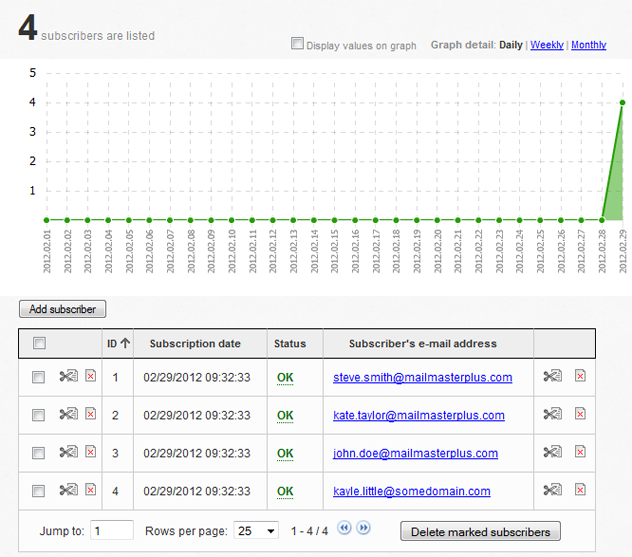 After the successful import click the "Subscribers" tab and you can see all the imported subscribers.